Before starting the journey in the hospitality industry, I was a swim and water polo coach. I would supplement the meagre earnings in the pool or as a lifeguard on the beach with casual jobs in the hospitality industry where I picked up basic skills. In 1998, I was offered my sisters partnership at an inner west (Sydney) classic restaurant called Perama. At this stage my skills and knowledge of Greek cooking were very basic and my knowledge was primitive. I began my journey of understanding Greek cuisine by going back through history and reading ancient literary texts to help build the picture of where Greek cuisine had come from, what path it has travelled and how it has evolved to where it was then. In essence my Greek cooking depicts Greece through the ages, portraying elements of all these periods. Perama got its first Sydney Morning Herald good food guide hat in 2001 and kept it until 2011 when I then moved to Xanthi in Westfields. He continued the trend of doing Greek outside the box but with traditional foundations. At Xanthi I also received a hat each year until we finally closed the doors in 2014. 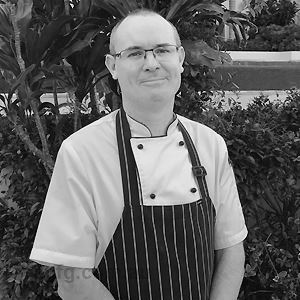 I have been Executive Chef at Universal Hotels since the project 1821 was announced in January 2015. I have worked on the conception, the development and construction of 1821 with Jim Kospetas, the founder of Universal Hotels. 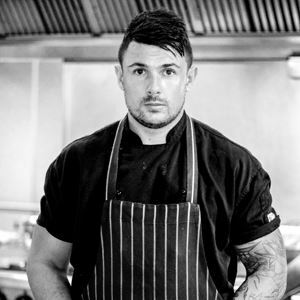 I have worked closely with the family to implement a quality of cuisine throughout all its venues and continues to develop the different food offerings within the organisation. 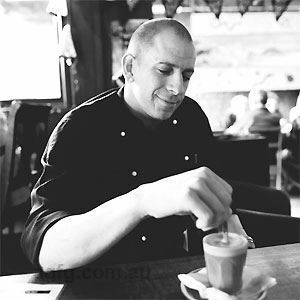 I have now moved on to more of a consultant role where I consult for 3 venues in Chicago , USA , The Greek Club (Nostimo Restaurant Bar) in Brisbane and now working on menu development for Zeus Street Greek. It would be anything that’s charcoal BBQ. 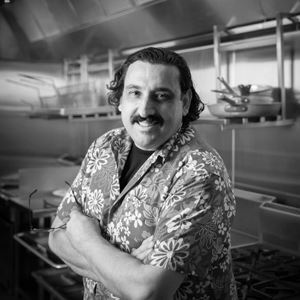 Everyday people who can teach me something personal and unique about their style of cooking. It can be a well-known Chef, my mum or just anyone who has a love for cooking a meal from their hearts. Making people remember the meal I cooked for them. Having them come to me unsolicited and telling me what a wonderful meal they've had. Making them smile and watching their facial expressions as they eat the food. There's no one ingredient I can't live without, it’s the creativity of the mind that drives me to utilise the ingredient/s I have before me. If I become reliant then I become predictive and boring. Caramel Baklava Ice Cream or the twice-cooked BBQ lamb that has been renowned from Perama to Xanthi to 1821 to current. 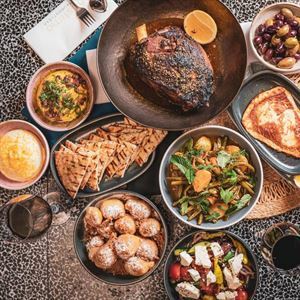 Deliciously Greek and deliciously new, Nostimo Restaurant Bar on Edmondstone Street transports diners to the Mediterranean from the heart of Brisbane. Featuring white rendered walls, cascading worry beads, thatched ceilings and terrazzo finishes, this hot spot offers the best seat in the house from the famous terrace of The Greek Club, where sweeping views of the city skyline await discerning guests. Meaning ‘tasty' in Greek, Nostimo serves authentic flavours with modern sophistication by renowned Chef David Tsirekas, offering starters such as octopus with warmed split pea puree. For the main affair, delve into slow cooked beef cheek stifado, red wine and celeriac puree; before a layered dessert of white chocolate ice cream sesame halva, sour cherry preserve and dark chocolate ice cream.